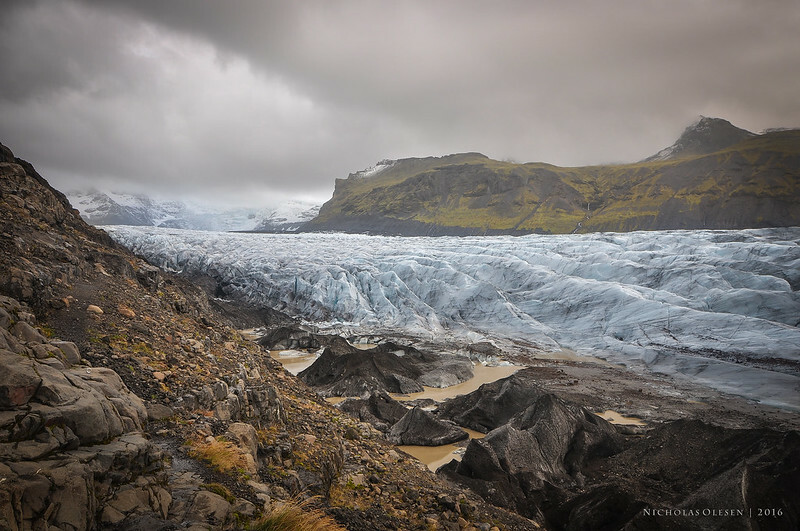 This is a shot of one of the immense glaciers meandering down the mountains in Skaftafell national park in eastern Iceland. I spent most of the day hiking in the park – with the weather alternating between sunny and warm, and cold and raining! Typical Icelandic weather… At the end of the day I got back to my car and was heading back to my hotel, when I spotted a small road heading off towards a glacier in the distance. I followed it, and boy was it worth it! At the end of the road – a beautiful view of this glacier with a light blue tinge. 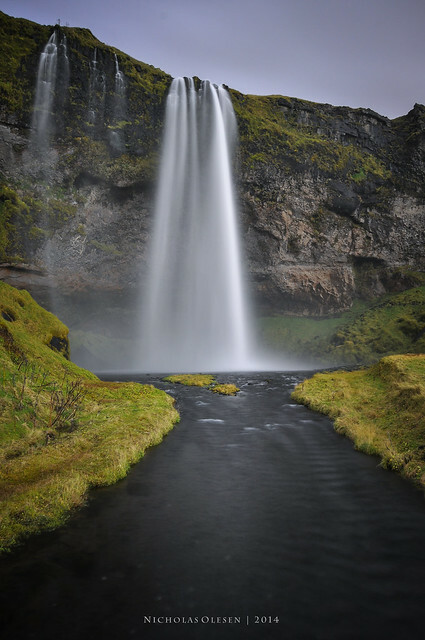 Seljalandsfoss in southern Iceland, shot with a Hoya NDX400 filter. 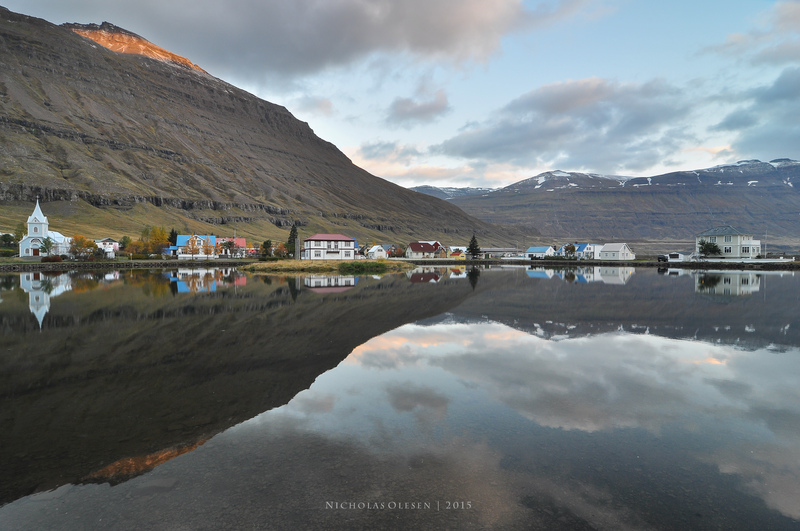 More than a year ago I took 2 shots in the beautiful town of Seyðisfjörður in eastern Iceland – you know the type; good enough to keep, but not special enough to post. Then recently I decided to look back through my pictures and came across these 2 shots which just so happened to be taken from the same spot but looking at slightly different angles – perfect for a panorama! It’s been more than a year since my trip to Iceland already, but I’m still finding pictures in my Iceland folder which are worth posting! This one was taken at sunrise in Seyðisfjörður in eastern Iceland. It’s a small town at the end of a fjord, and is the only place where you can catch a ferry from Iceland to Europe (or vice versa). I only spent one night there, but that morning when I got up for the sunrise it was perfectly still, resulting in flawless reflections on the water. The light was just touching the top of the fjord peaks, and the town wasn’t stirring yet – there was complete silence except for a few birds. A truly spectacular start to the day! 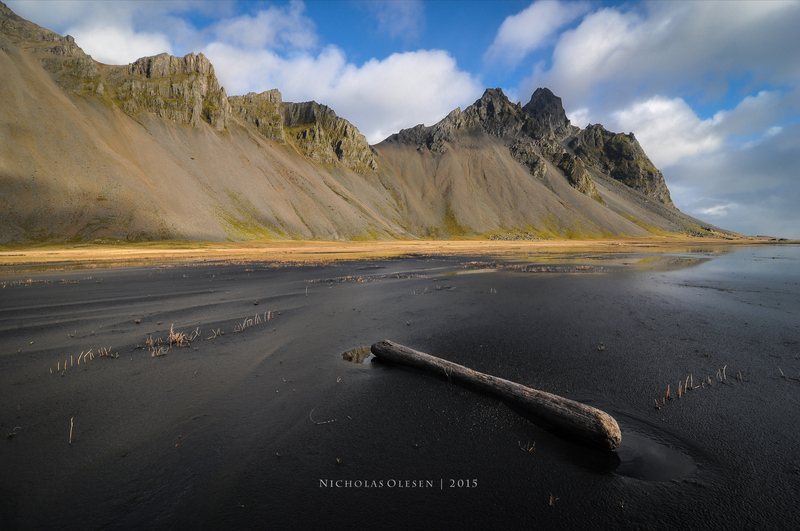 This is a view of Stokksnes, located close to the town of Höfn in eastern Iceland. 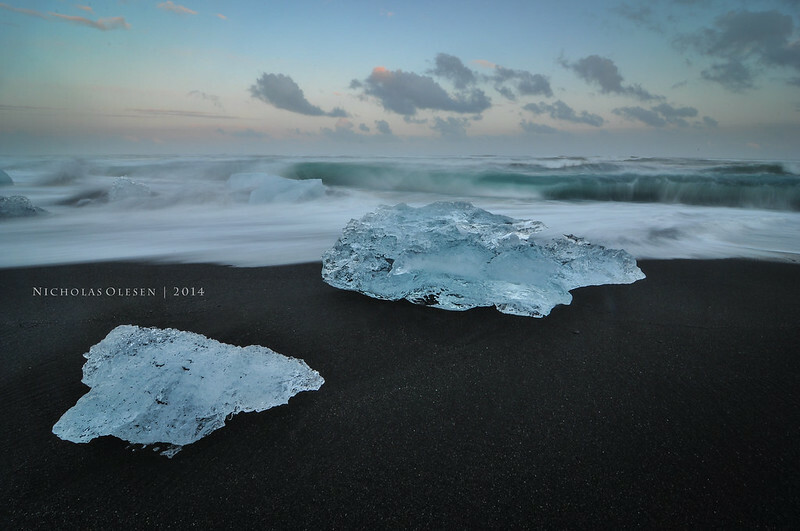 The beach is covered in fine volcanic black sand, and there is a very thin layer of water on most of the sand, extending several hundred meters out from where I was standing for this shot. Because the water layer is so flat and thin, it is almost perfectly still, creating a spectacular reflection (not really visible in this shot). 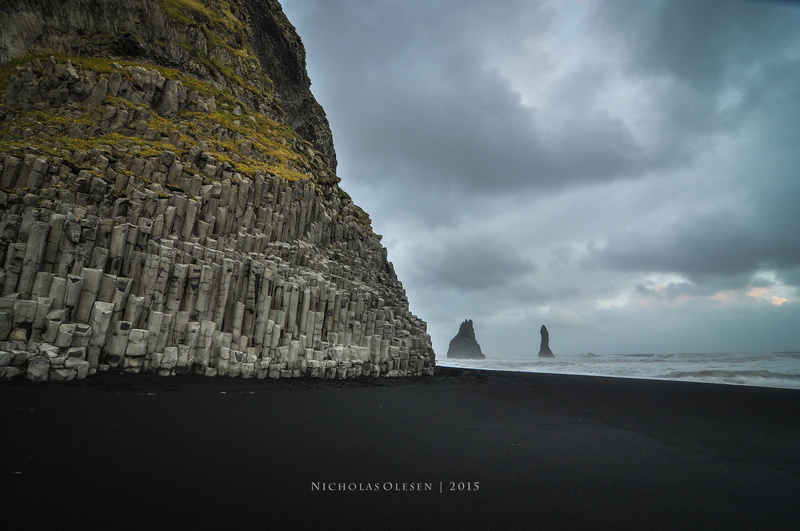 Stokksnes is several kilometers down an unpaved track from the main ring road, so it’s one of the lesser-visited spots of Iceland. I had the entire area to myself for several hours; the only sounds were the wind, a few birds, and waves breaking far out in the distance – definitely one of the most magical moments I had in Iceland!